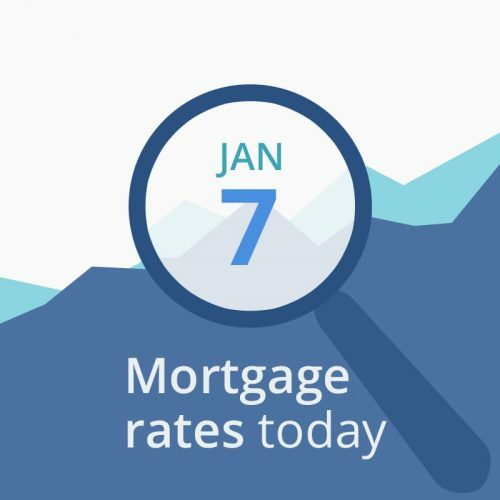 Average mortgage rates today are lower for government programs and higher for conventional programs. Perhaps because the government shutdown is reducing demand for government-backed mortgages for those who have deadlines to meet. December’s ISM Nonmanufacturing index dropped unexpectedly, indicating a possible slowdown in services other than manufacturing. Not good for the economy but possibly good for mortgage rates. But most data are neutral and markets will most likely be influenced by political news in the US and globally. Most of this morning’s data doesn’t look good for rate changes. If you can lock in something good now, consider grabbing it. CNNMoney’s Fear & Greed Index rose 6 points to a reading of 16 (out of a possible 100). That score is in the “extreme fear” range. Good for rates. “Greedy” investors push bond prices down (and interest rates up) as they leave the bond market and move into stocks, while “fearful” investors do the opposite. Things are looking pretty neutral today with no push in either direction. If a day or two would get you into a lower tier (30-day to 15-day lock, for instance) you may be able to do better by waiting. Expect light trading and few reports.